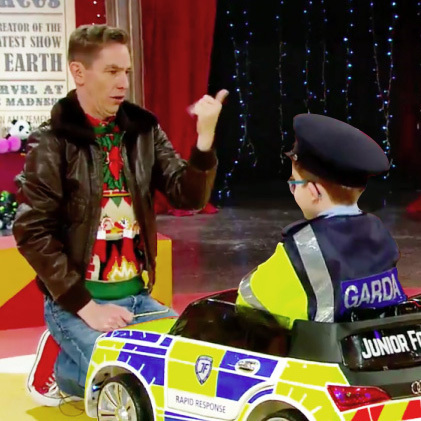 Our Junior Force Ride-on-Car made it’s big debut on this years Late Late Toy Show and people LOVED IT! 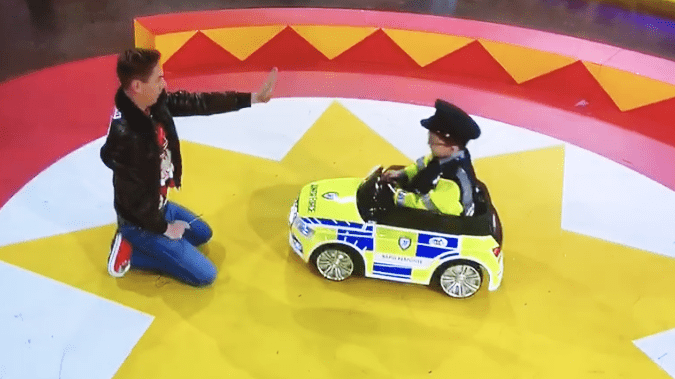 The Late Late Toy Show is an Irish tradition and this years show was very special for all of us at Esmark Finch as our very own Junior Force Car featured on the ride-on section of the show. These little cars have received such positive response since we began producing them so when the Toy Show came around we just knew they’d be perfect fit for the show. We do a lot of work with the Garda, converting their vehicles (The Big Boy Toys) and have provided the little cars to their charity ‘Little Blue Heroes’ in the past. Little Blue Heroes is an absolutely amazing organisation that is operated voluntarily by Garda staff to help families in local communities who have children with a serious illness. So we were thrilled to hear a little blue hero would be driving our car. 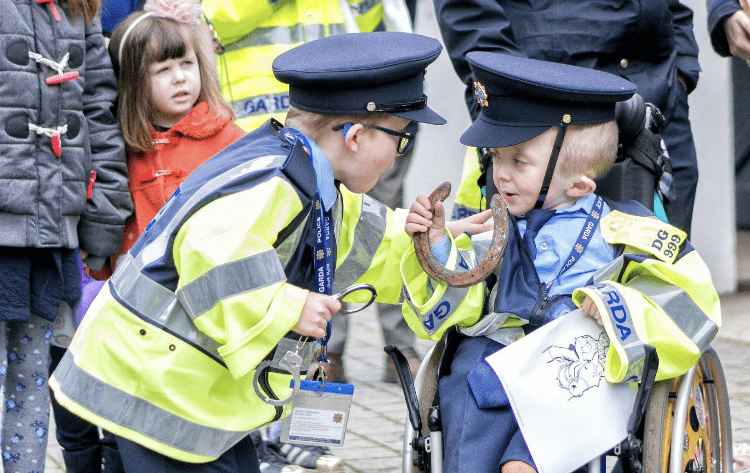 Honorary Garda Cormac Kennedy stepped up to the job when his friend Garda Jack was unable to make the show due to recovering from recent surgeries. Garda Cormac did an outstanding job driving the car live on air and even said a special hello to Jack. He also caused one of the more memorable moments of the show by knocking Ryan Tubridy over which caused a social media frenzy. 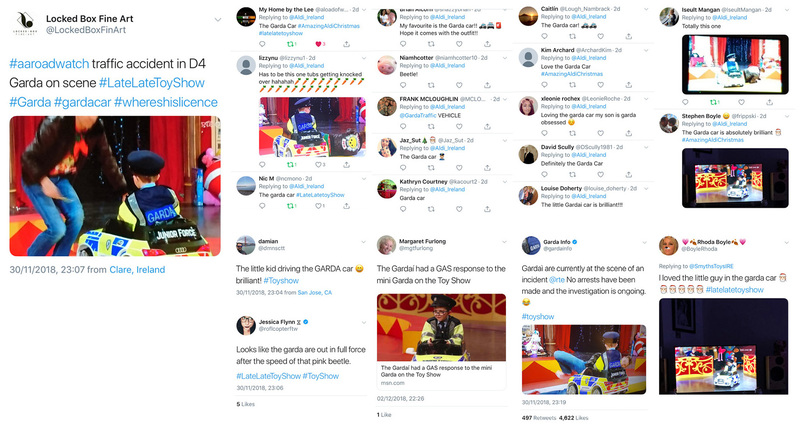 No longer is the Toy Show just for kids, adults have found a way of finding endless entertainment from the show through social media with hilarious posts.The Garda twitter page were in form for the event with their tweet which had everyone talking, including Lovin Dublin and Her.ie. Aldi Ireland ran a competition on Twitter asking people to choose their favourite ride-on from the night and our Junior Force Car received amazing support and won the competition. As a proud Irish company with staff who have grown up with the show and now watch it with their own kids it was an amazing moment to see our own product on the iconic Toy Show and to be driven by such a special little hero was such an honour. To buy your own Junior Force Car for your very own little hero this Christmas, go to our Shop page HERE.